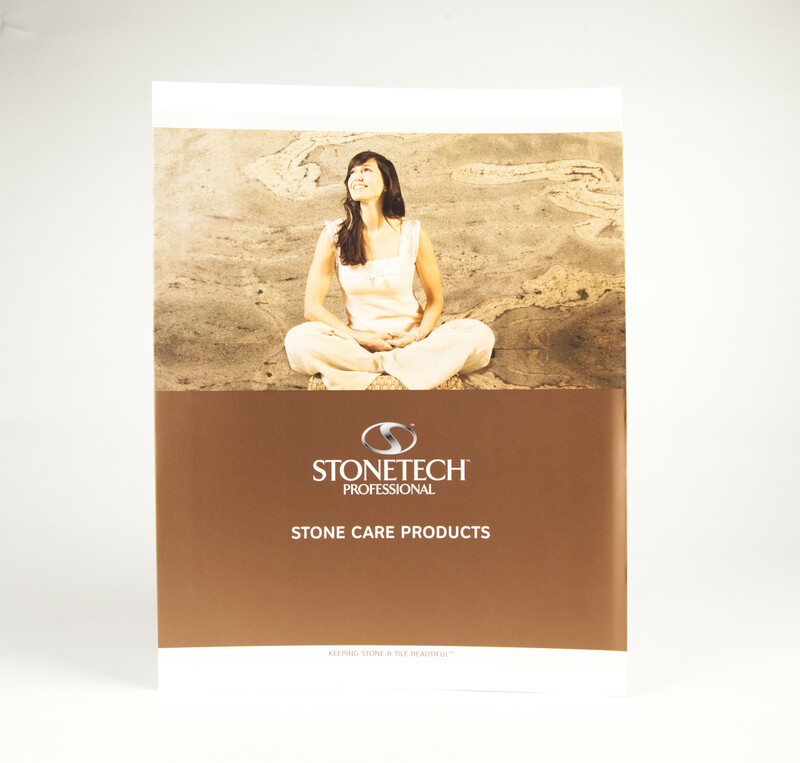 Colorful fold-out tri-fold brochure to give or mail to your customer with room on the back center panel for your imprint. Shows photographs of Sta-Clene in action. 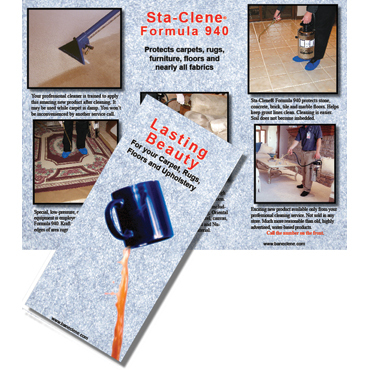 Brochure from Bane-Clene on How Sta-Clene Protects Carpets, Rugs, Upholstery, Tile & Grout from Dirt and Stains. 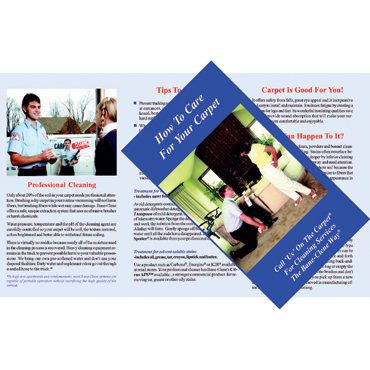 Colorful fold-out tri-fold brochure to give or mail to your customers with room on the back center panel for your imprint. Ready to use - No time wasted mixing. Won’t spoil like water-based products. 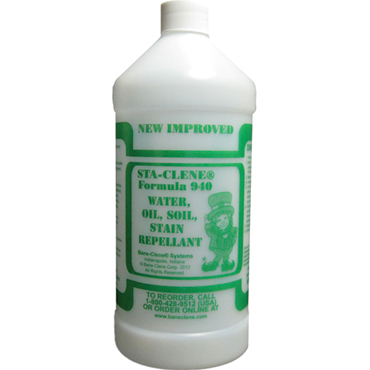 No Silicones - clear - nearly odorless. 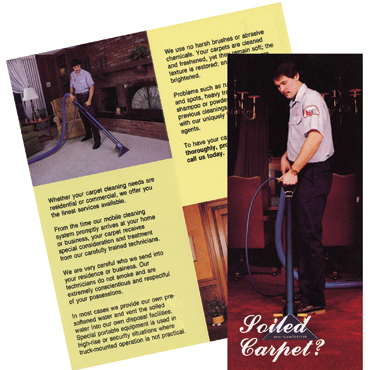 Will not void stain resist warranties. Fluorinated polymer won’t slow drying. 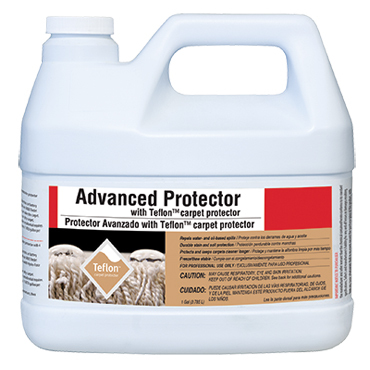 Superior oil / water / soil repellency. 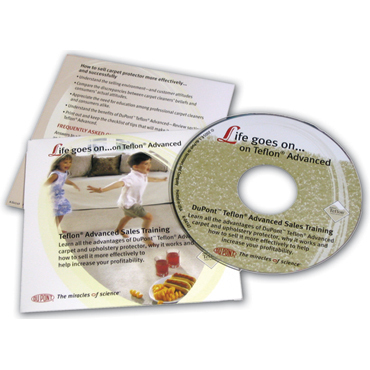 Stretches with fabric - will withstand heavy use such as children’s knees. 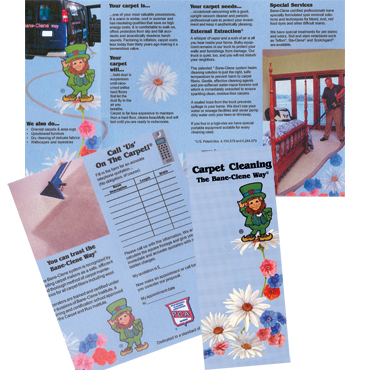 Explains how you, a professional cleaner, can prepare their fine carpet and upholstered furniture for treatment with Sta-Clene. 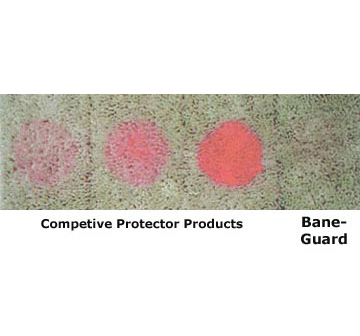 Sta-Clene Formula 940 is the ultimate in fabric protection. 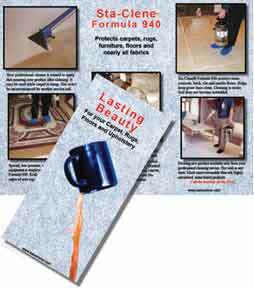 It may be used on carpet, rugs or any upholstery fiber. 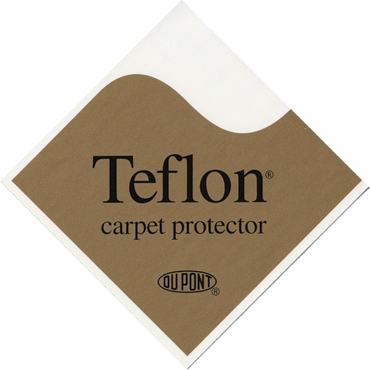 Explains how you, a professional cleaner, can provide your customer with the best protector for their valuable carpets, rugs and furniture! 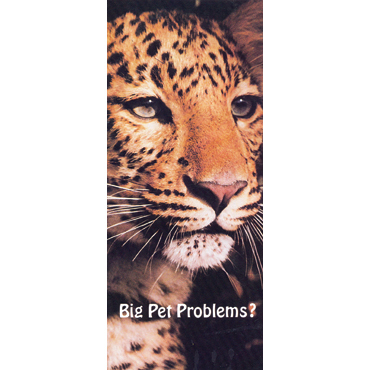 Explains how you are trained and have the proper equipment to ensure a thorough and long-lasting application of Sta-Clene.